1.3.9 Do you like what we have here? Don’t forget to check out our other featured textures and graphic design elements. Wood offers a timeless look and feel. Whether used in architecture or interior design, the material evokes a certain nostalgia. It’s a seamless texture that adds elegance and sophistication to its surroundings. And graphic design is no exception. 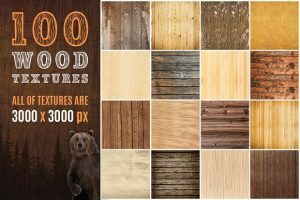 In this article, we have selected some of the finest vintage wood background textures to add beauty and dimension to your images. Perfect for website and graphic design. Check them out! Creating graphic designs and images is such a magical thing. You can take one image and then transform it into something that has emotion or evokes memories. But how can one do this sort of magic? How can a flat surface (or even a blank canvas) transform into a matter with sentimental longing or wistful affection? With patterns, textures, and backgrounds, you can create out-of-this-world effects. In our previous articles, we showcased textures and similar visual effects to set the tone and feel of your graphic designs. We curated the best finishes and surfaces to achieve the desired touch, appearance, and consistency of your images. 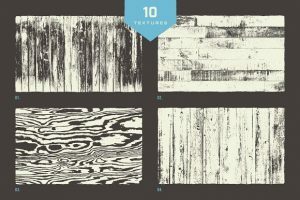 So for this article, we’re going to show you some of the best vintage wood background textures. If you use them right, you’ll get the most amazing designs. From dark hardwood to stained wood textures, these graphic elements look elegant and classy. These decorative background textures are perfect for your websites, brochures, posters, and many more. Having graphic elements and textures on hand can be very convenient for a designer or illustrator. They are an invaluable asset that makes visual creation easier to do. 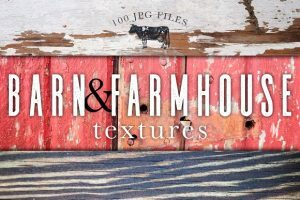 Unlike the many years before, there are a lot of textures, backgrounds, and patterns available online. Thus, the problem is no longer about getting them. Rather, there are a wide range of graphic elements to choose from that it’s challenging to pick which one’s the best for your design. So if you’re looking to have a classy, elegant look for your designs, may we suggest vintage wood background textures? These graphic elements add sophistication and a timeless feel to your images. Instead of spending hours looking for the best vintage wood background patterns (or any texture for that matter), we’ve gathered some of the best we could find online. In this article, we have a beautiful selection of the best vintage wood background patterns and textures. These design elements are perfect, whether for your personal or commercial use. Best of all, these picks are of high-quality yet very affordable (sorry no freebies yet at the moment, but we’ll look for a couple of them). So what are you waiting for? 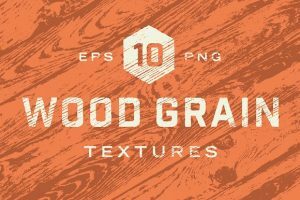 Give your designs a whole new touch, feel, and consistency with these amazing vintage wood background elements. 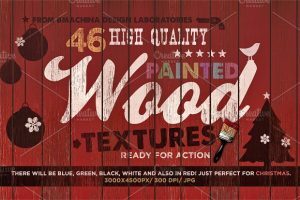 Wondering where to find the best vintage wood background elements for your graphic designs? Then check out this article. Here, we reveal the high-quality ones that are highly sought after by many artists and designers. If you’re looking to add depth and texture to your designs, then these background textures are perfect. They’re vector-based and available and easy to download from online without fuss. So let’s get started then. Check out these elements. Also may we suggest on experimenting which one fits best for your unique designs? Then from there, perhaps build on your personal selection. Discover the perfect imperfection of wood grain with the Real Wood Texture Backgrounds. This pack perfectly captured the texture and consistency of vintage wood. It contains high-resolution JPG images and texture overlays. Ideal for product mockups and previews. Buy it for $12. 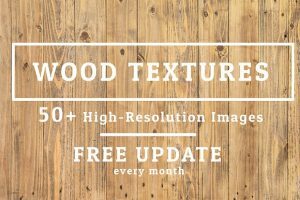 Looking for authentic wood grain textures? This pack contains finely detailed wood elements with its images of planks, panelling, and flooring. The Wood Grain Textures kit offers a wide range of texture flavors for your convenience. You can get this for $9. 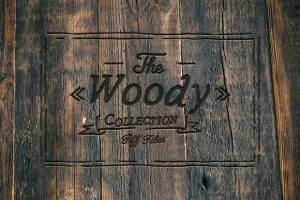 Check out this fantastic pack containing 100 vintage wood background textures. Did you know these photos were taken from a local farm? So they’re definitely authentic. You’ll love the appearance of chipped paint and worn-out barn wood. All images are in JPG format. Get this pack for only $6. 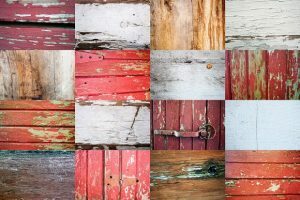 Looking for the best vintage wood background textures? 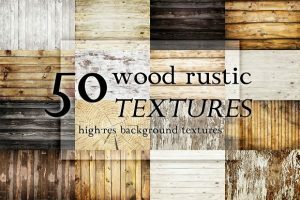 Then check out the 50 Wood Rustic Textures set. You get plenty of visual elements to choose from—naturally aged, worn-out, and with a countryside charm. Buy it for $12. Want the dark wood texture for your images? Then check out The Woody Collection. 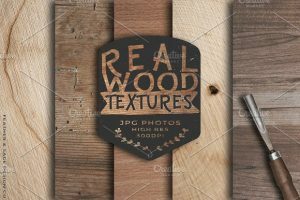 This pack contains 60 high-resolution wooden texture images in TIFF format. From old chopping board consistency to aged wood from Alpine houses, this collection has them. You can buy it for $10. How’s this for value for money. Check out the 100 Real Wood Textures. These beautiful visual elements are perfect for invitations, business cards, websites, and packaging. All images are in JPEG format. And it’s only $9. When you buy this pack, you will get updates every month. So far, there has been about 80+ updated images made. Amazing, right? These wood backgrounds are absolutely beautiful. You’ll love them. This collection is available for only $5. Check out these 46 handmade painted wood textures. If you’re looking to create flyers, posters, and invitations, then these visuals will come in handy. This pack contains images in JPEG format with diverse color variations. Buy it for $9. 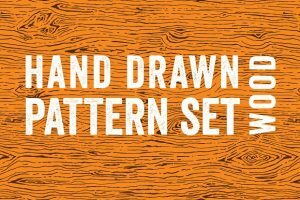 Looking for hand-drawn wood patterns? Then check out gorgeous pack. It contains high-resolution images with seamless wood patterns. Get it for only $9. Do you like what we have here? Don’t forget to check out our other featured textures and graphic design elements.